Slam Rock here we come! Hells Wives are soooo excited for our next game! 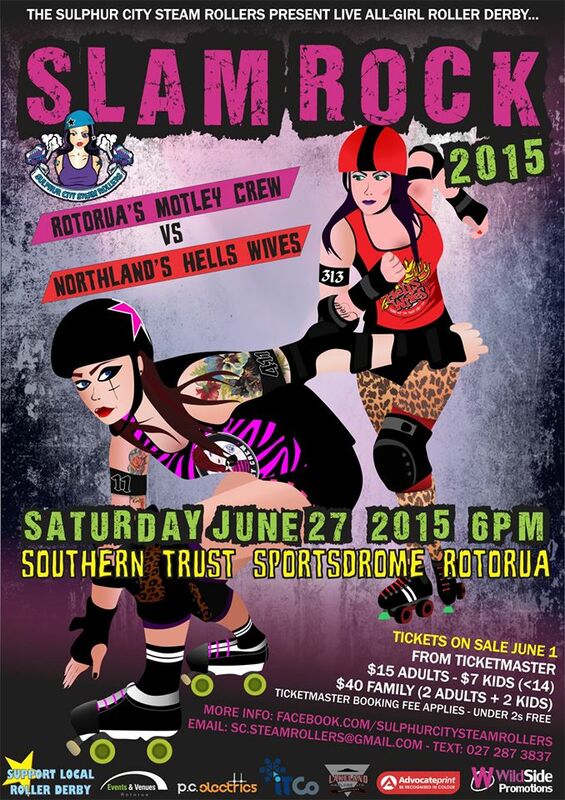 We’re off to Rotorua to take part in Sulphur City Steamrollers’ annual derby extravaganza Slam Rock and we cannot wait! This is gonna be a tough game, with Motley Crew looking to square the score after their defeat last year here in Whangarei so the sold-out audience is sure to get the moneys’ worth! For more info check out the event on Facebook or on Eventfinder. This entry was posted on June 25, 2015 by nnderby. It was filed under EVENTS! .